Although many people consider clear mascaras to be of little use, they actually are the unsung heroes of the makeup industry. 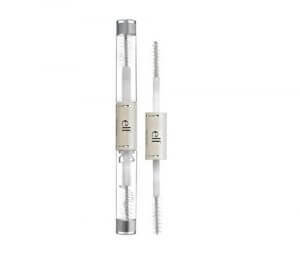 Transparent or clear mascaras are quite versatile, which makes them especially great for makeup newbies who not only want to save money but also need something that is easy to use. However, due to their lack of recognition, there isn’t much information available about how you should choose a clear mascara and what makes the MUA, Maybelline, or E.L.F., ones different. 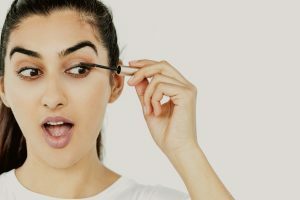 This article, with its buying guide and list of top 7 clear mascaras in India, aims to fill that gap and help you choose the best one. Transparent or clear mascaras look the same to most of us, and it is hard to tell what makes one different from the other. There are several factors though that you should keep in mind to properly distinguish between different clear mascaras and choose the best one for yourself. 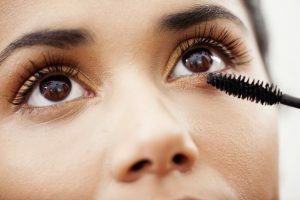 Clear mascaras can often be used in more than one way, so if you’re planning to use them in multiple ways regularly, then you should look into products that are specifically made for that. There’re many clear mascaras that double as brow gels and lash primers, although you should choose one with two separate wands if you use other brow products too, so the gel won’t get dirty. Mascara wands are one of the most important things you need to think about before buying a mascara because each wand type achieves a different sort of look. Think about the look you want to go for, as well as the kind of lashes you have naturally, and choose the wand type accordingly. If you’ve got straight lashes, or simply want a more curled effect, then go for a curved wand; if you’ve got sparse lashes, or want even more volume than you already have, then a wand with dense bristles would be the best; and lastly, if you’re looking for definition and separation, then you should choose a skinny wand. If you’ve got eyelash extensions, then transparent mascaras could be a great product for you to accentuate the look of your extensions without looking unnatural. However, you should always check whether the formulation is a waterproof type or not, because waterproof ones would not be right for you. Waterproof formulas are, for obvious reasons, much harder to remove, and can, therefore, cause your extensions to fall out. Additionally, as denser bristles can get eyelashes stuck in them, we recommend choosing a skinnier wand with separated bristles as well, to make sure the extensions can last for long. It is finally time to discuss our list of top 7 best clear mascaras you can buy online in India. We hope our list of recommended products will help you choose the best clear mascara for yourself! This is a great option for those who do not like waiting for their mascara to dry, and want a product that dries quickly. It also adds lengths to your lashes, separates individual lashes, and when used as a primer it prevents your lashes from clumping as much. On the downside though, it is scented, so it may not be suitable for those with sensitive eyes. Furthermore, the formula is really sticky, which may put off some people, and the amount of product you get is really less, so you may run out of it within a few weeks of regular use. Anyone who’s on the hunt for a product that has two separate wands, one for the lashes, and one for the brows, should choose this one. It is suitable for sensitive eyes, great for separating individual lashes, works well as a primer, and is also the most inexpensive option on this list. However, its formulation is slightly on the heavier side, making it a bit difficult to use as you would have to wipe off excess product from the wand every time before using it. Due to this, it is not recommended for those with short, thin lashes, as the formula would simply weigh the lashes down. 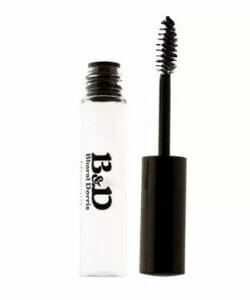 This mascara is recommended for those with sensitive eyes who want something to both lengthen and define their lashes. Since the formula contains lots of vitamins, with regular use, it helps the lashes grow longer and decreases fallout. It can also be used as a primer, as it is great for ensuring clump-free application. The only reason this product did not make it to a higher rank is because of its price tag. Although you get a big bottle, it is still really pricey, and may not seem like a worthwhile investment to everyone, especially those who already have long lashes and only need a mascara to give their lashes some lift. The most affordable option on the list, this clear mascara is recommended for those who have are looking for something to give their lashes more volume, but still, keep them looking natural. 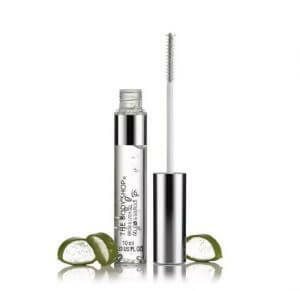 This mascara is also really easy to build up and can be used as a primer as well to prevent any clumps. 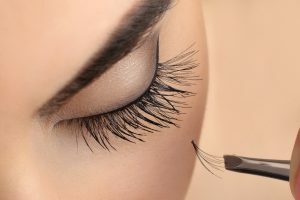 However, it is not great for those who have short lashes as it doesn’t add any length, and it doesn’t work well for those with straight lashes either as it can weigh the lashes down. Additionally, the wand for this mascara has dense bristles, so people with eyelash extensions might experience fallout with this product. This is the only clear mascara on the list which has a curved brush, and although it seems a bit expensive, it works amazingly for those with straight lashes. If you curl your lashes and need something to slightly thicken the lashes and hold the curl in place for the whole day, this is the product for you! Even if you do not curl your lashes, this mascara will help you achieve a slightly more curled effect as it naturally lifts the lashes. 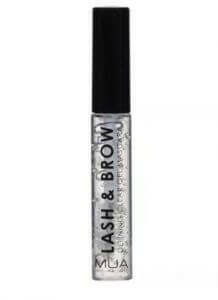 It works well as a primer too, and can also be used between coats to remove any clumps or excess product from the lashes to prevent them from looking flat. One of the best clear mascaras on the market, this cruelty-free product is safe for sensitive eyes and helps lengthen and separate each individual lash to make them look slightly fuller. 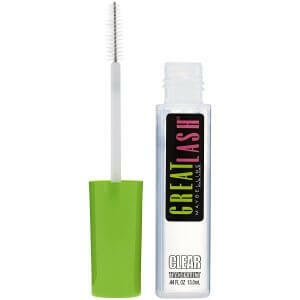 It is recommended for those who want a mascara that won’t weigh down their lashes and will hold the curl. Additionally, it has a quick drying formula, so you can definitely use it as a primer, and it also conditions your lashes to make them softer. Although it may not be the cheapest option on the market, a little goes a long way with this mascara, and it’ll last you for a few months, even with regular use. Even though this is quite expensive, this is the best clear mascara on the market as it is easy to use and you get almost everything in one product. Since it has a skinny brush, it properly coats each individual lash, making sure they are evenly separated to create a naturally fuller look. It is recommended for those with straight lashes, who want to give their lashes a lift or need a clear mascara to hold the curl. 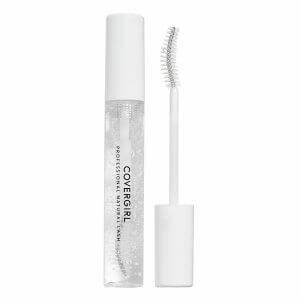 Furthermore, it also works well as a primer because it ensures clump-free application, and it is great for setting eyelash extensions as well since it doesn’t pull at them at all. Clear mascaras have long been considered to be a part of the “less useful” makeup products, but with the rising popularity of the “no-makeup” makeup look these days, people have now begun to appreciate their true purpose as the most natural looking product to accentuate the lashes. We hope our article has helped you understand how you can choose the best clear mascara based on the subtle differences between them. We also hope that you have been able to find the most suitable clear mascara for yourself from our list of recommended products.